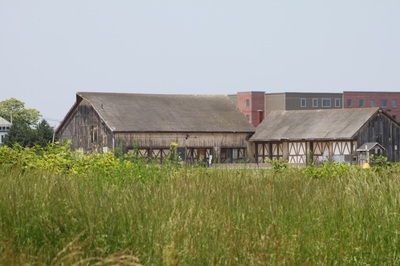 I created this barn as a major environmental asset for the Buffalo State Asylum: A Reconstruction project. Farming was an important daily duty for the patients of these Kirkbride asylums, and so it would be an area the player visits often. 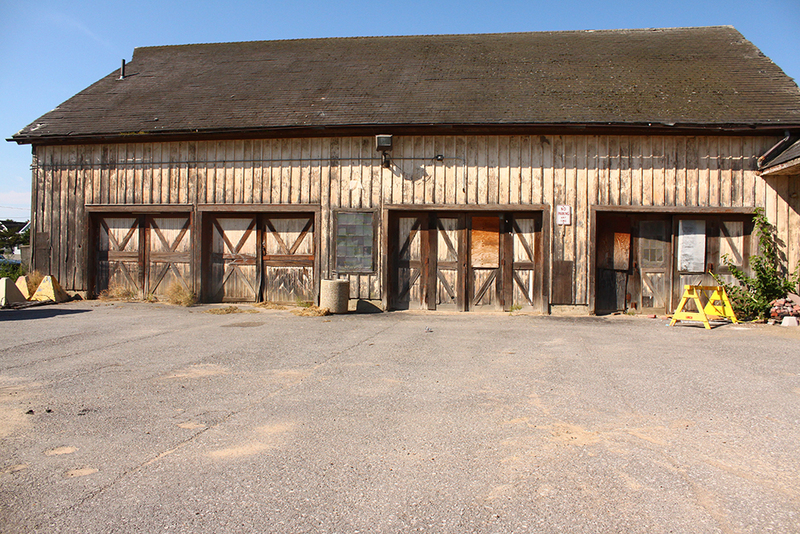 These are some pictures I took of the barn that is still standing at the Buffalo State Asylum today. I wanted to imagine the barn as it would have looked in the late 19th century when it was built - newer and less weathered than it appears today, but still shabby and imperfect enough to feel nostalgic. 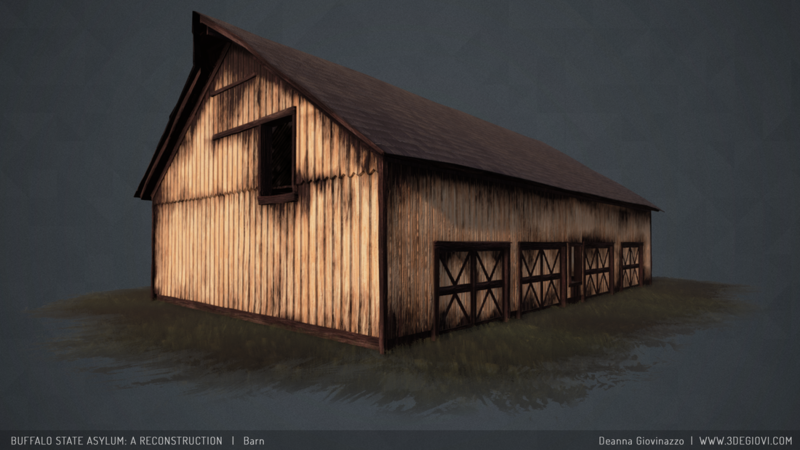 As the first architectural structure I have made for a game, this barn has been a huge learning piece for me. I have gone through several different iterations to achieve the look I wanted. I've learned a lot about how to appropriately split up model detail from texture detail, utilize separate UV sets for tiling and model-specific detail to maximize reusability and resolution, and use Unreal Engine's material editor to blend together two different materials believably. 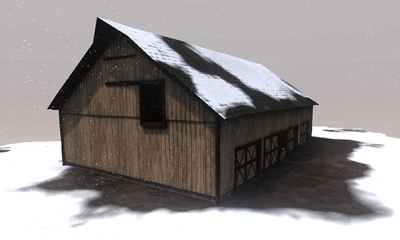 A feature I implemented into this asset is the ability to vertex paint the model in engine and use it as a mask to blend between two materials - a painted wood and a bare wood. You can see, on the left, areas that are painted red are painted wood and areas that are black are chipping away to the bare wood. In the values in between pure red and pure black, I've broken up the blending to appear to follow the wood pattern. I've done this by multiplying the vertex color mask by a blend of the two different height maps for the painted wood and the bare wood. 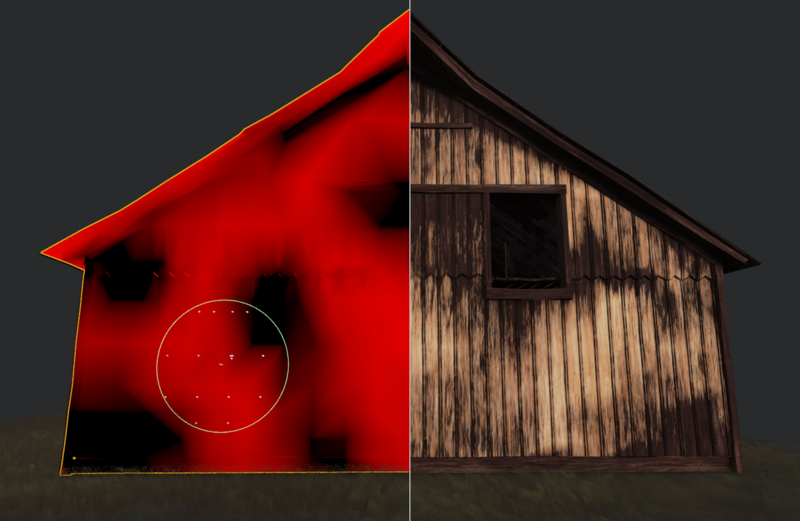 Using a vertex painting approach to add interest to specific areas of the model enabled me to get the most unique detail out of tiling textures while simultaneously minimizing their tiling appearance. 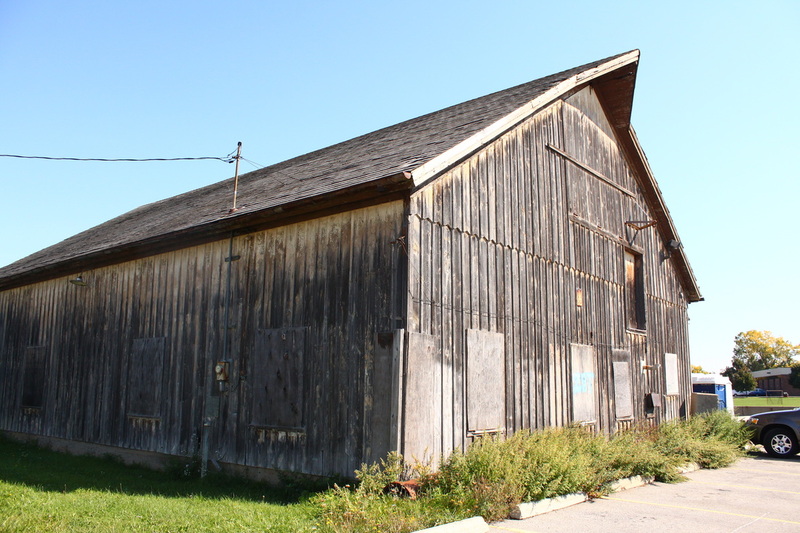 It also opened up the possibility for the barn to appear more or less worn if used across a time span of many years. 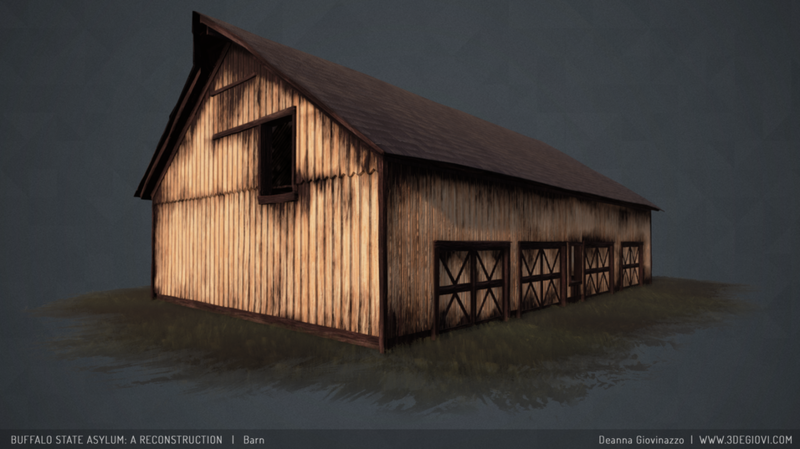 It also enables this same painted/bare wood to be used across multiple assets. 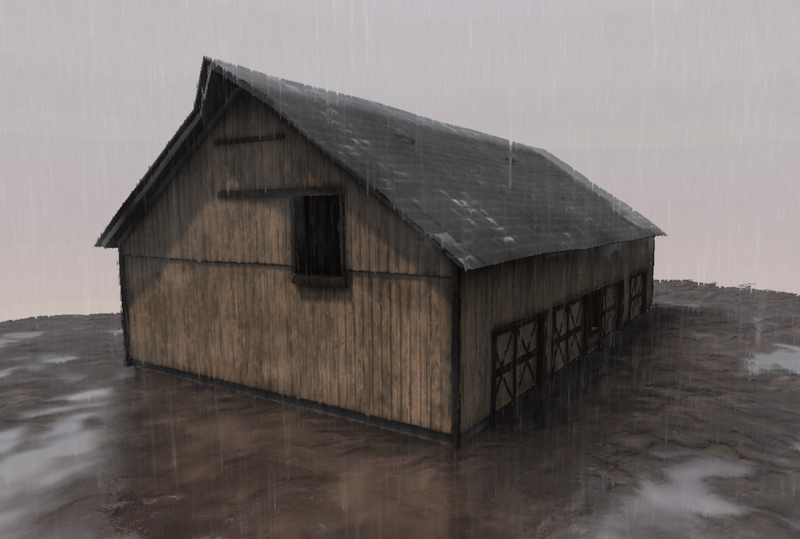 Additionally, this barn has been a collaborative effort with Nic Burkhart, who is also a 3D artist on the Buffalo State Asylum: A Reconstruction project, to test the shader-based dynamic weather system he has been developing. This that will eventually be implemented into the Buffalo State Asylum: A Reconstruction project. This was an early prototype of his localized weather working in UDK.